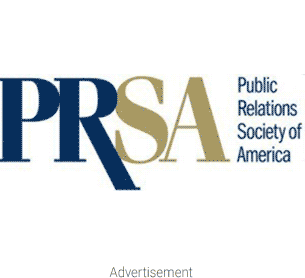 Coming up February 16, the PR News Digital PR Next Practices Summit will afford industry professionals a unique chances to hone or build digital knowledge & skills. Dedicated to offering key social media communications, SEO knowledge, PR measurement and digital engagement with the media, among other topics, the summit packs a lot of punch for a one day affair. The PR News Summit this year will be led by key PR strategists expert in best and future likely practices across the social web. From your company’s home site to Facebook and even g+, communicators should get valuable insight at this highly targeted and condensed SM affair. The roster of tacticians set to engage include; Chris Abraham, Matthew J. Broder, Krista Canfield, Ashley Dillon, Sally Falkow, Dan Gould, Stacy Green, Beth Haiken, Krisleigh Hoermann, Jennifer Houston, Ashley Howland, Colin Moffett, Joshua Nafman, Jim Newcomb, and other distinquished experts from companies like Weber Shandwick across the way to Boeing, and all in between. For more info, or to register for the summit, we suggest you visit the PR News site, or head straight to the registration page for an early bird deal. The summit is sponsored by; Social Ally, NAPS, and BusinessWire.